The Baltic theatre of the Crimean War took place in the Gulf of Finland near St. Petersburg, the Russian capital. The medal was awarded for services in the Baltic under Admiral Napier and Rear Admiral Dundas. The reverse of the medal is particularly attractive in my opinion and features Brittania seated, looking over her shoulder with the fortresses of Bomarsund and Sveaborg in the background. 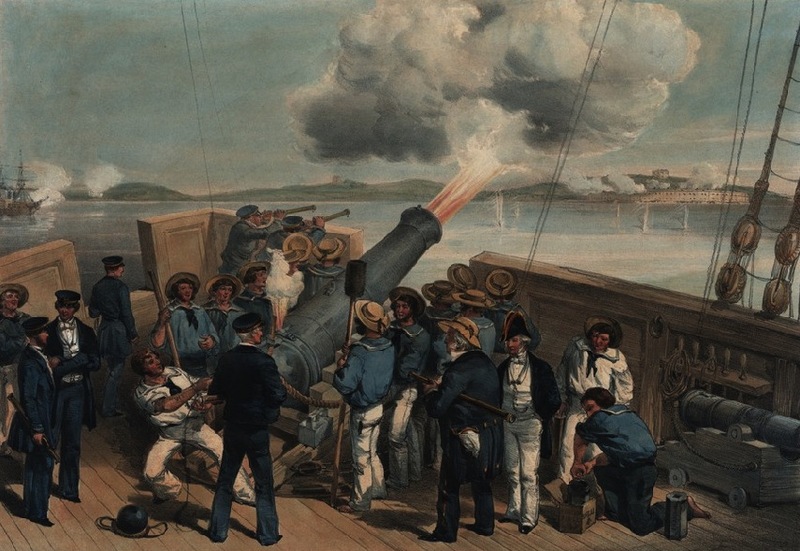 The land forces in the Baltic during the Crimean War were mainly supplied by the French and Britain’s involvement was primarily naval. Like most other mid Victorian medals to the navy, Baltic medals were issued unnamed which generally makes them unattributable and less collectable. 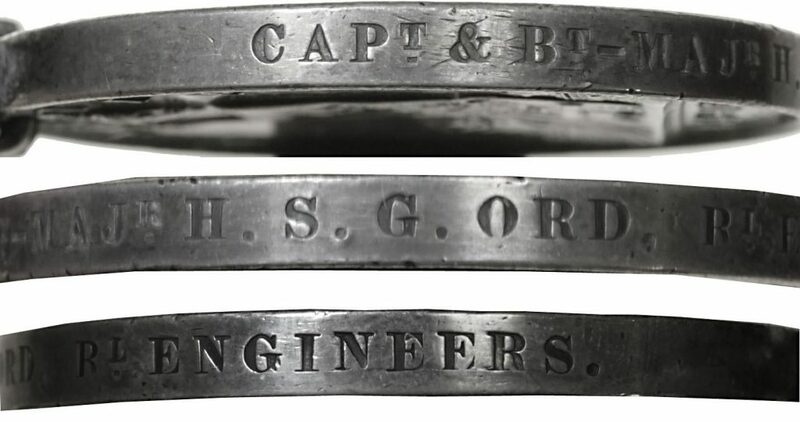 Some medals that were privately engraved in contemporary styles fetch a premium as do some late issues with contemporary official naming but the fact that medals awarded to 6 members of the Royal Engineers and to a small group of the 2nd Company Royal Sappers and Miners were impressed (in the style of the MGS) is the driver for this brief blog which is intended to introduce another roll within the research section of this OMSA website. The roll with 106 names, appeared in the Hayward Gazette in March 1977 and has been reproduced here with the kind permission of Mr. John Hayward. The roll is interesting in that it lists the various trades of the men involved which included carpenters, masons, miners and other skilled artisans. Some notes have been added by this blogger to reflect some medal provenance and additional information related to the recipients of several of the medals. 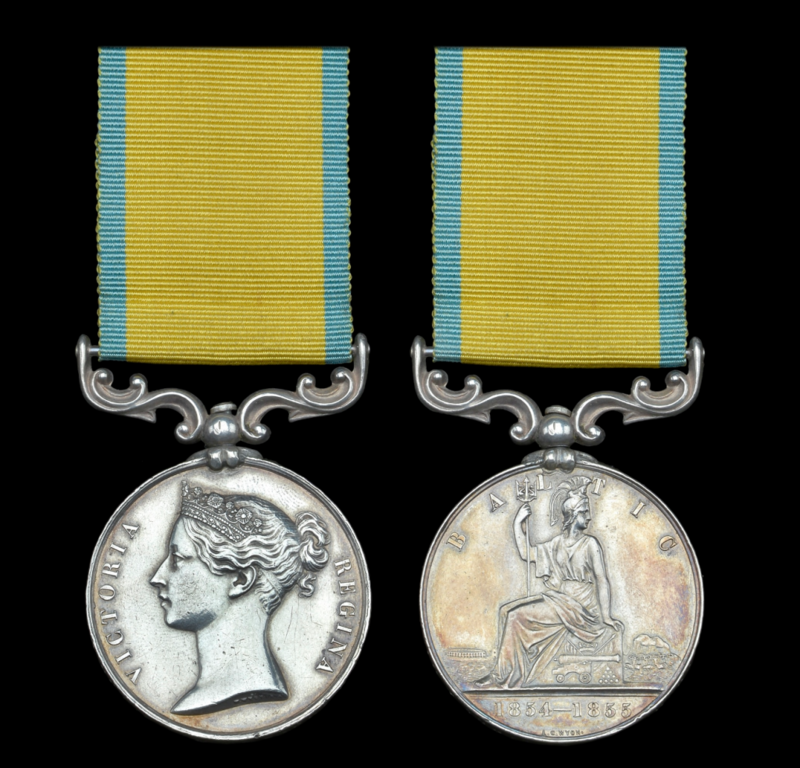 Approximately nine of the medals are held by the Royal Engineers museum and owing to the small number issued in total, the medals in private hands rarely come on the market, are much sought after by collectors and usually fetch a handsome price. In his roll, Gordon Everson noted only a dozen medals in private collections. The two most recent ones appearing in public auctions within the last 5 years have fetched hammer prices of £1,300 and £2,000 respectively. The Sappers were very effective and played an integral part in the destruction of the Russian fortifications. Many of the 2nd Co. who served in the Baltic suffered from Cholera and 5 died in the campaign, many more served and died in the Crimean conflict and some who survived the war went on to serve in the Indian Mutiny and in China. ….. I have a Baltic medal which I inherited along with a lot of other family paraphernalia. The trouble is that I do not know who it was awarded to. I am almost certain that it was not anyone named Hanwell. The medal is unused, still in its original box and with a piece of medal ribbon which is also in new condition. This leads me to suspect that the recipient died before the medal was issued, perhaps during the battle itself. The medal is not inscribed. ….. The difficulty that I am encountering is that the various databases which I have found are searchable by name, but I do not know what name to search for. What I have tried to do over the years is to do is obtain a full list of Baltic medal recipients and another of Battle of the Baltic casualties, so that I can study them to see if I can recognise the name of a family member, but, so far, I have not been able to do this. Your blog says that “The roll with 106 names, appeared in the Hayward Gazette in March 1977 and has been reproduced here with the kind permission of Mr. John Hayward” but I cannot find this list. Would it be possible for you to send me a copy of this list? My email address has been attached to this message. All Baltic medals were issued unnamed and although I don’t know how many were issued its safe to say many many tens of thousands. There is no way of knowing that an unnamed medal was issued to a particular individual unless the provenance is impeccable, The tiny exception to this unnamed rule was this very small number of Sappers and Miners who got the impressed medal. Your medal is unnamed along with 99.9% of all Baltic medals so the list you speak of is not relevant to your search. ….. Thanks for your prompt reply. Your answer saying that you “don’t know how many were issued – it is safe to say many many tens of thousands” is puzzling, because your blog says “The roll with 106 names, appeared in the Hayward Gazette in March 1977” and continues to say that “owing to the small number issued in total, the medals in private hands rarely come on the market”. ….. Were “tens of thousands” issued, or were only “106” medals issued. Which statement is correct? Thanks again. Adrian, there were many tens of thousands of Baltic medals issued. Almost all were unnamed. This blog relates to perhaps one tenth of one percent of the medals those being to the Sappers and Miners whose medals were issued officially named. Any other named Baltic medals have been privately engraved at some point and were originally issued unnamed.